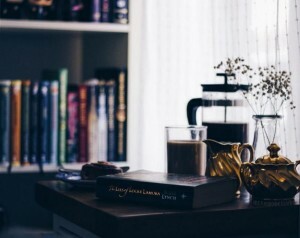 This week’s featured photo is from @epicbookclub whose photo was just so moody and perfect for such a dark section of the book that i couldn’t resist sharing it with you! REMINDER: This post will contain spoilers for the Prologue, Book I, Book II & Book III. You have been warned! I don’t cry often. In general, and especially when reading. It takes a lot to get under my skin, and somehow Lynch did it. Even though I knew all along what was coming, even though I had been saying goodbye to the characters I loved even as I was introduced to them once again, this section still broke my heart. Locke’s farewell promise to Calo, Galdo & Bug, which I have included in shortened form above, was such an emotional moment to me. Lynch has done a beautiful job of tying together grief, guilt, anger and shock, into a response that seems perfectly fitting for the man that Locke has become. I also want to highlight the same passage for another reason. I think it is a terrific example of the culture that Lynch has built up to this point in the book. Though the 12 (or 13) different religious ‘orders’ in Camorr are not all memorable, the sentence I omitted from the quote above shows the depths of the world we have been immersed in. The missing sentence reads ‘This I swear by Aza Guilla who gathers us, by Perelandro who sheltered us, and by the Crooked Warden who places his finger on the scale when our souls are weighed’ and after 350 pages we know that Aza Guilla, the Lady of the Long Silence is the goddess of death, who gathers all to her in the end, Perelandro is the protector of the weak and helpless but also in Lynch’s typical irony, the god of the physical temple that shelters the Gentleman Bastards, and that the Crooken Warden, the Nameless Thirteenth, is the god of thieves. All this background colours Locke’s passionate, emotional declaration of vengeance, and gives life to the culture of Camorr. Though Locke and his friends could hardly be confused with dedicated disciples of any god other than the Crooked Warden, the rituals and observance of the Thirteen is so much a part of their lives that it colours Locke’s expression of grief when he has little else to cling to. To me, that’s a sign of a complex, but well thought-out world, one that wraps back on itself and rewards readers who delight in the little details. This is my kind of fantasy novel, and I’m so glad to be sharing it with you. 3. What is your favourite element of the Camorri culture, or an element you would like to see explored further? Photo Challenge: #whereiread – Where did you read The Lies of Locke Lamora? Remember to use the tag #BabblingBooksRA on your photos, and feel free to tag me @babblingbooks in your captions. I’ll be reviewing the tag throughout the week and choosing my favourite to be featured next week in the final discussion post. Oh. My. Gods. This section was brutal! I stopped counting the death toll. How vicious are the Berengias sisters? I still think there is someone pulling their strings though…I think it goes beyond the three Berengias siblings. As Locke says, the name Raza is too obvious (meaning revenge). I want to know why – why had they been after Capa Barsavi for so long? What’s behind their need for vengeance? Why did they kill/plan to kill off all the Gentleman Bastards? It seems more personal than just getting rid of opposition. I’m also with Locke completely on getting revenge for the Gentleman Bastards…Buuuug! Nooo! As Tamsien said, he was so noble and so young. And Calo and Galdo…why? Such a short but devastating section of the book. My favourite quote was Jean’s ‘suicide’ note when he left the order that worships death. I just thought it was a humorous touch within such a shocking and sad part of the book. My favourite part of the Camorri culture or an element I would like to see explored more is a further description and explanation for Elderglass and Falselight and all those alien elements. I also really enjoy reading about the terrifying mythologicaly inspired creatures…those spiders? WTF! I’m also interested in finding out more about the Mages and the alchemy used by other characters. P.S. I happened to hear that this was going to be made into a TV show or series…looked on IMDb and its stated as being in production. I don’t want to google it though in case I spoil the book/s for myself. How amazing would this be? Firstly WHAT THEY MIGHT BE MAKING THIS INTO A TV SHOW WHAT THE WHAT! Secondly, I cried. I totally 100000% cried. I knew it was coming and I still cried. Not Calo and Galdo! I still remember the first time I read that bit, I think I actually jumped out of my chair in shock. I spent the rest of the book convinced that Jean was goin to be offed, right up to the last page. I’d also like to see more of the alien culture, though I feel like it’s more of a backdrop – “This is just how the world is, and I’m not going to explain it”. O.M.G! Yes yes yes! A tv show version could be so good! Imagine if it started from when Locke was bought, and covered all their training? Oh that would be so excellent! Little baby Locke, and then Little baby Jean. And all those costumes! And yes, tears, so many tears. I feel like it might have been even worse the next time around because I was treasuring every moment that I had with the twins. The alien world seems to stand out to me more this time around, perhaps because I was so keen to get into the action the first time, and now I am realising just how many unanswered questions it leaves! And you are, of course, most welcome. Thank you for taking such a beautiful photo!